It's hard to believe we're already into December! This last year has totally flown by so fast, I think I got whiplash... lol! It's so unbelievable to me how far this blog has come in the last year, if it weren't for all of you I know The Farmers Wife wouldn't be where it is today, and I probably would've run out of recipe ideas a long time ago if y'all didn't challenge me! I just love all of my fans! Anyway, you came here for a recipe, not my emotional diatribe. Well it will come as no surprise that this is another breakfast recipe. I think I'm just a bit obsessed with breakfast foods. Not entirely sure why to be honest, something about it is comforting to me. Something y'all probably don't know though is I frequently try to create homemade "Skillet" dishes to please my picky boys. I grew up loving these dishes filled with eggs, veggies, cheese, meat and maybe some potatoes served with toast. Such a simple idea yet very filling and full of flavor. I've been working on a recipe for a long time that was pleasing to all of us, and last night I finally achieved this goal! I wish I could say this came as some sort of epiphany, or anything special. It was more like "I have this leftover, and some of this... Sounds like a skillet to me!" haha! But when my hubby took his first bite and actually said "Mmmm..." I was shocked! He said that because I used less veggies and added the hash browns it was perfect guy food. 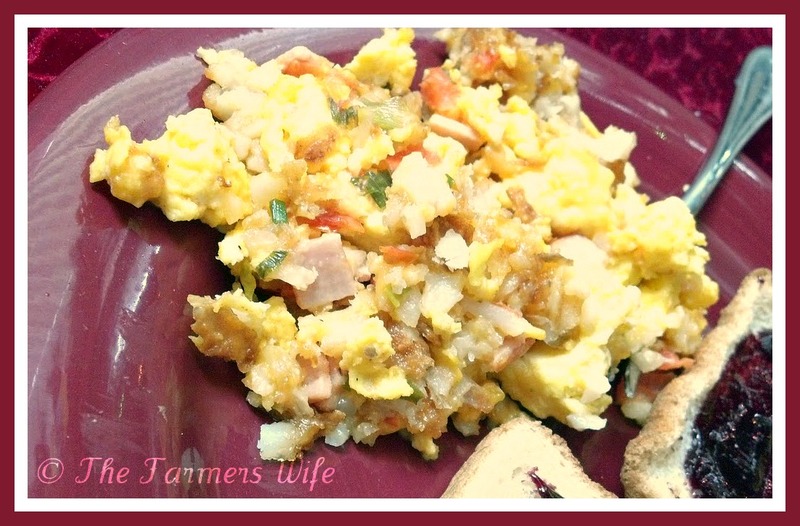 So if you have a picky guy you're trying to feed breakfast this weekend, I hope you'll give this a try! It's kid and guy approved! Cook your hash browns according to package directions, until crispy. Then chop into bite sized pieces and set aside. In a skillet cook your Canadian bacon, tomatoes and onion until heated through and the bacon is slightly browned, scoop into a bowl and set aside. Clean our your skillet and spray with cooking spray, then scramble the eggs with a dash of pepper. Once the eggs are cooked add back in the bacon and veggie mixture, and the hash browns. Heat through, then add the cheese and mix on low heat until cheese is completely melted. Serve warm. This dish was so simple, it really came together pretty fast as I was able to cook the veggies and eggs while the hash browns were baking and the whole thing took only about half an hour. Which is my kind of meal! With my boys giving it 2 thumbs up I have to say this gets a 5 star rating! 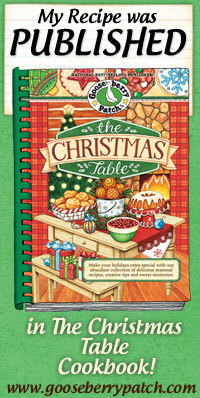 This would be fantastic for a Christmas morning breakfast alongside some toast, or cinnamon rolls... Yum! This dish looks so delicious, and filling at the dame time, with eggs, hash browns, cheese, and veggies! Yum! What an amzing meal this is!! All that CHEESE!! My boys would gobble this up for breakfast...and I'm certain they'd love it for dinner, too!!! YUM. Everybody love you because you are so sweet...and your dishes come from heart! 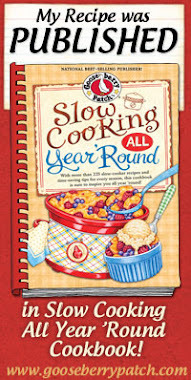 I love this one too..perfect for everyday breakfast, especially Sundays!